I've been writing blog posts, catching up with book reviews and prepping for the 2013 round of 52 Books in 52 weeks. Also have been more into reading books about writing rather than actually working on my current WIP. I've been rethinking creating and writing a whole new story when I have a couple in the works already that need major editing. And I've haven't been writing those 500 words every day and I find myself getting extremely cranky. And you know what happens when you get cranky, you get negative and with negativity, that leads to doubt about your writing, you as a writer, why are you doing this. All those wonderful gremlins that like to visit you in the middle of the night. 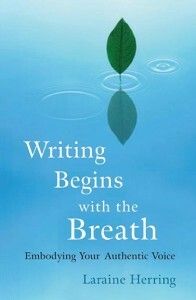 Which is where Writing Begins with the Breath comes in - positive light and energy. Part one covers Focusing the Mind, part two covers the Deep Writing Process and part three covers Embracing What and Where you are. So many parts of this book really spoke to me and wish I could share it all here but I can't, so go read the book. *grin* She raises some thoughtful ideas how writing is much like yoga or meditation and how it raises ideas, memories, thoughts that are less than comfortable and you either have to work through them or get stuck. How writing is like a relationship and you pretty much go through the same steps as you do with establishing a friendship, a meaningful relationship with another person. "Writing is an art that requires work. 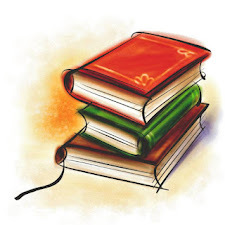 A writer's training is ongoing, lifelong learning. If I believe I know everything there is to know, that arrogance translates to the page, and I won't be able to actually reach a place where my work communicates effectively. If I believe I don't know anything and never will, the same result occurs......When you try to not be a writer, because it is too inconvenient, or you are too frightened, or you feel you are not good enough, you will notice this repression of your authentic self surfacing in other areas.......Treat your writing as an integral part of your life and the ebbs and flows of your relationship with it won't seem as startling or as severe. Some days you and your friend seem like you're speaking in alternate universes. Some days you and your writing will seem the same." "Every writer has a unique relationship to his or her writing, and it is in the dynamics of this relationship that the perils, joys and challenges of a writer's life breathe..... You either form and maintain and nurture a relationship with your writing, or every time you return to the page, you'll be starting from the beginning - the whole 'what's your sign' level of conversation.....Learning to write strong dialogue without a rooted foundation in your relationship to your work is like expecting your once-a-month scale practice on the piano to be enough to get you on tour with George Winston....Like any relationship, there will be bumps, places where you don't communicate very well, places where you are irritated by everything that occurs. If you see these times through the lens of relationship, then you'll be less likely to cry 'foul' and quit writing. There are phases to everything. Embrace what each phase has to teach you, knowing it is impermanent." "If we have attached our personal success or failure to an outcome of publication, we have set ourselves up to be continually looking into the future and judging our present actions against something that is completely out of our control. In short, we have set ourselves up to suffer....I'm simply suggesting that you write. Write whenever you can. Write when you're too tired to write. Write even when you're convinced you've written the most brilliant thing in the world or when you have nothing to say or too much to say. And when you're not writing, read. If you keep up this pattern of writing and reading, publication will be much more easily attained. You'll have the tools to do the work, and the work will become a way of life for you. You'll see that publication is as fickle as the weather. But you'll keep on writing. That's the constant and that's the space you stand in." "Readers respond to specific language. Vague or abstract terms can't be seen, so they can't be integrated and remembered. In order for us to write specifically, we need to learn to slow down and move into the scene, rather than gloss over the scene in our hurry to either meet our output goal or to avoid the real work of the scene. Most of us face a second problem: avoiding the real work of the scene. Because writing stirs things up, uncovers things, bring us face to face with the unexpected.... We end up uncomfortable, and without the tools to deal with this discomfort, we leave the work, skim over the critical moments of change in the story or stop writing entirely..... Releasing control is frightening....We may fight the writing... Slowing down and focusing your awareness will help you stay in the moment of your writing so that you can follow those unanticipated paths into the forest...Releasing the outcome will release the work." "The more organically you can imagine the process of creating a piece of writing, the easier it will be for you to release rigid definitions of pre-writing and revision. There is an ebb and flow on both sides, and yes, sometimes one crosses the line into the other. Be as open to these fluctuations as you are to the sudden departures and arrivals of your characters. The well fills up when the water is released. If nothing is released, nothing enters. The first thing to do is reread your first draft and then put it away. Holding on to it is going to stifle the next phase. You've got what you've written inside of you..... You know what part of this early draft is continuing to call to you and pull you in...Put it away and start again, re=seeing, re=visioning, redreaming. Start where the energy pull is. Start where there is a nagging question about a character....just start again and write until it's done. Then, do it again. And one of these drafts is going to shout at you. "Hey, I'm it!" You'll know it. And when you hear that with your inner voice, that's the draft you edit." "As artists, we are always growing and learning. We'll never reach the pinnacle of all we can learn about our art. Each piece comes with its own puzzles and questions....The more tools you, have, the integrated your structure will be....Your right brain gets to flow and leap and get crazy. Then, your left brain comes in and restores order so that others can share in the flow with you. These two forces that often push against each other need to find a way to live together, and in fact need to find a way to nurture each other, even as they continue to perform their separate functions.....We honor the qualities of both. We recognize how each side contributes to a beautiful whole, and we see that without one of them, we would be unbalanced." "I believe the writer must also enter the fictive dream, not with the idea of manipulating it to her own ends, but with the presence to stop, stay awhile, and observe and record what happens there....Writer's block doesn't come from having nothing to say. It comes from being afraid to take the next step with our characters, so we create a frozen limbo to hold us up....But it is not a block. It is an unwillingness to surrender to the story." I think we've all been at this point. And creating is always more fun than editing. And it could be that you just need to have more time before you edit. 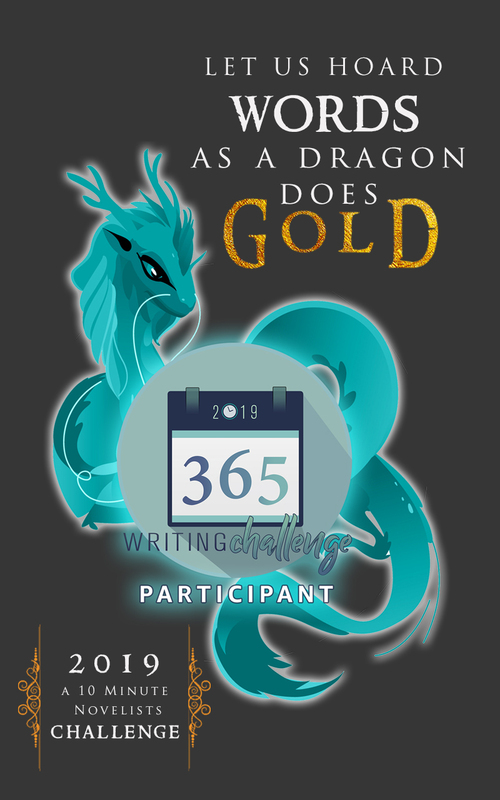 And make sure you setup a reward for getting the edits done (which is why I think we hate editing - unlike writing the story down which has its own intrinsic reward built in, editing does not by default).